If there’s one thing all these illusions can show you, it’s that you can’t trust your own brain. It’ll blot out peripheral colors right before your eyes to help you focus on a fixed point, turn static images into animations and completely fool you about the colors and shapes you’re looking at. 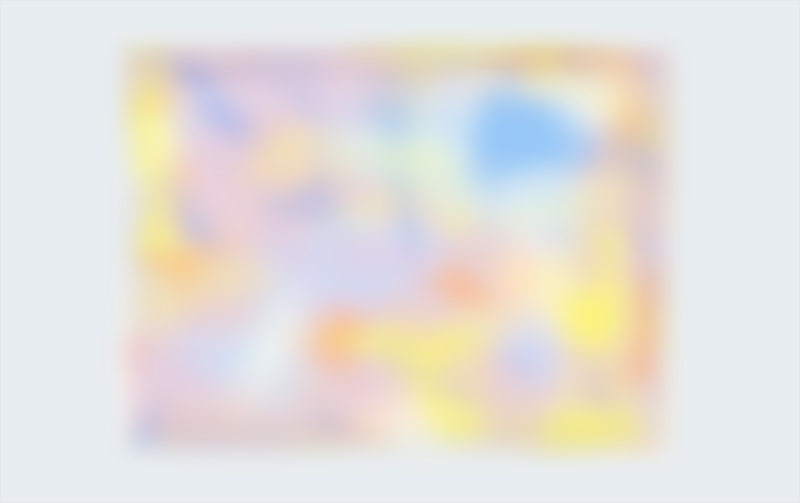 Focus on the center of this image, and before long, the colors will start to disappear, revealing either a blank white space or a gray square. Blink, and the colors are back again. Try it again with the second image: stare at the black cross in the center. Eventually, the pink dots will disappear altogether and only the green moving circle will remain. Troxler’s effect illustrates the efficient way in which our brains ignore peripheral information around a fixation point. What Color Are These Hearts? What color are these hearts? That probably sounds like a stupid question – obviously, some of them are orange and some are purple, right? But when the bars around them are removed, their true color will be revealed. Watch the video to see how it works. 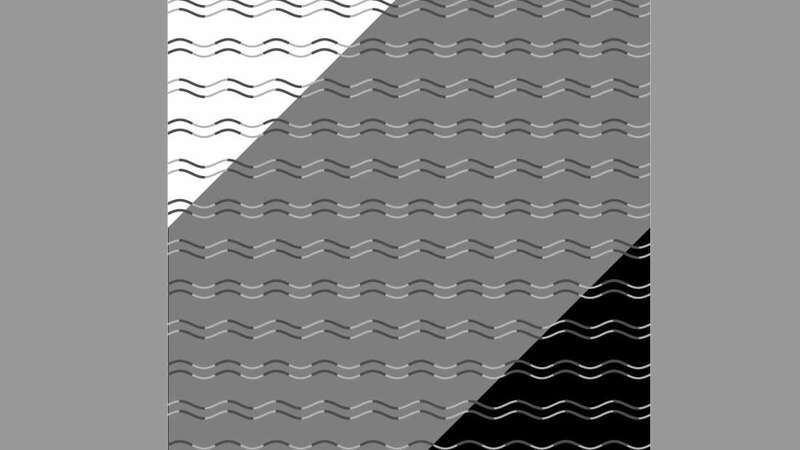 This image appears to show alternating lines of curves and zig-zags. In reality, the lines are exactly the same, but the way the light and dark elements are placed accentuate either the curves of the angles to our brains, making them seem like different shapes altogether. The illusion was created by Kohske Takahashi of Chukyo University in Japan and published in the journal i-Perception. 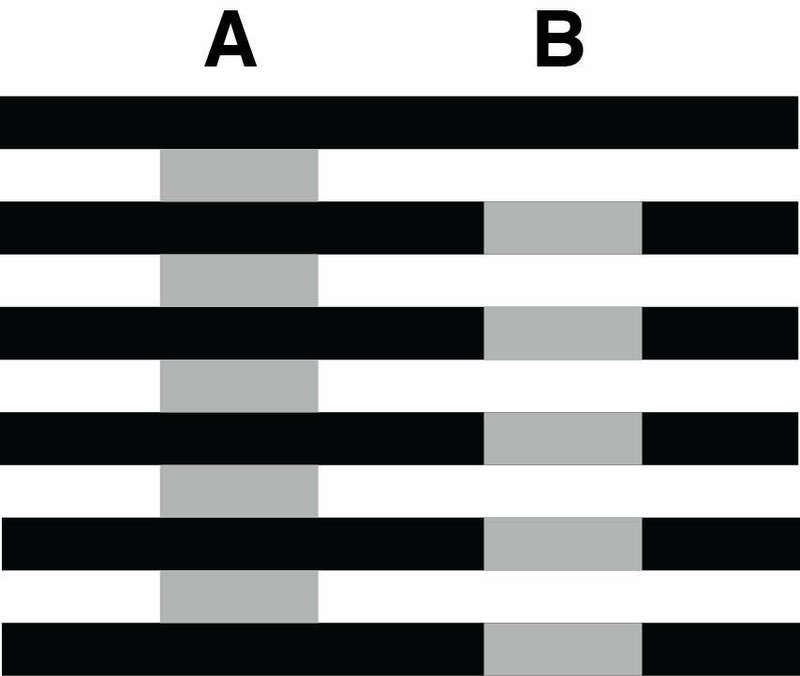 The way our eyes adjust to brightness make the very same shade of gray appear either darker or lighter depending on whether it’s surrounded by black or white, as shown in this image. 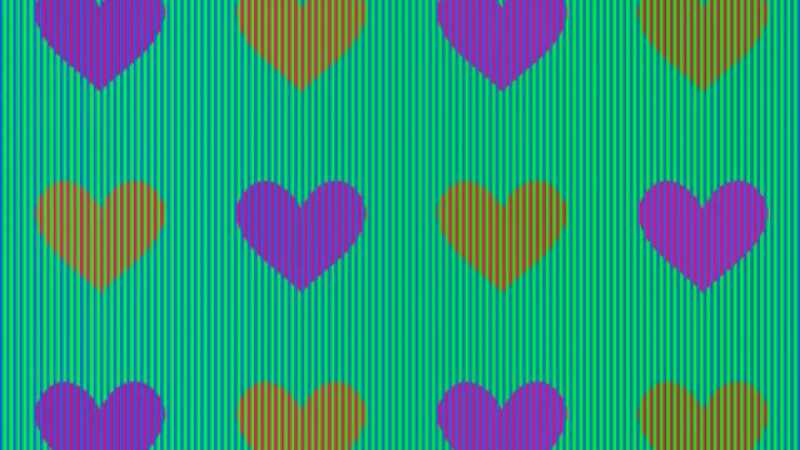 This is known as White’s Illusion, while the Munker-White Illusion is a similar phenomenon that occurs with alternating bars in different colors.